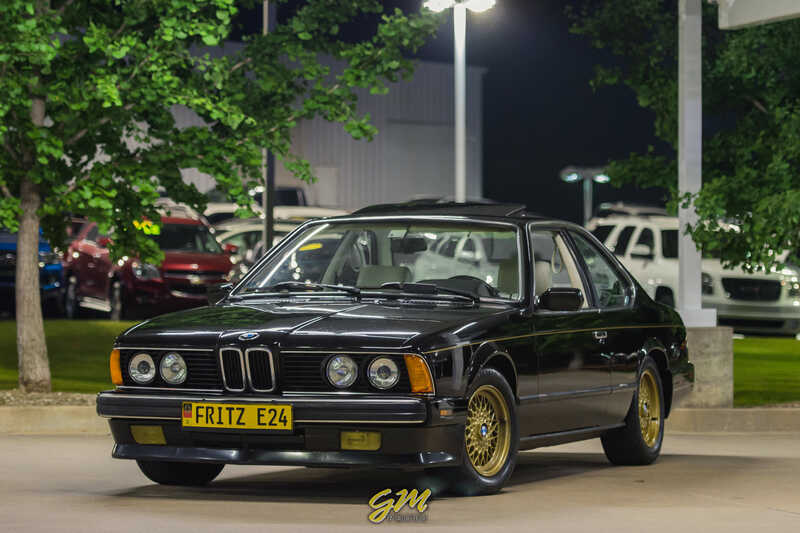 What did you do to your E24 today? 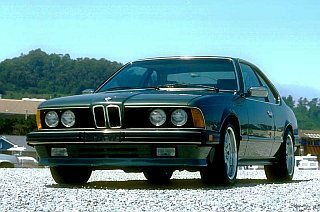 Re: What did you do to your E24 today? This is why I own some "beaters" for daily drivers. They're just as much fun to drive as a pristine example, but the anxiety is gone. It's impossible to drive for everyone else 100% of the time, and yourself, too. Mind you, I do everything I can to avoid contact, but if it happens, so be it. Another dent isn't going to matter. Anywho, the process has begun. Dropped the car off at a shop owned by a great family friend who we met through kart racing. It also just so happens that he's an adjuster for the insurance company of the people who ran in to me, so that'll be nice and easy! At his first glance, the car is well below the threshold for being totalled, which is a relief. Now the waiting game begins..
Definitely go gold stripes on that colour scheme you've got going on there. Or better yet go the full house John Player Special Gold Leaf racing colour scheme! https://www.youtube.com/watch?v=LLuaPZWkvZ0 I just had to post this, so sorry about your shark man. Yes my home town as well, it seems everyone thinks the roads are built just for them, and there are no other cars on the streets. What I learned in driving school, 25 years ago was it's the other driver you have to look out for. I have been blessed with zero accidents caused by my driving, over my 25 years or so of my driving history. Thank God for Young Drivers of Canada. Yesterday I took the battery out to install OEM battery tie down clamp I sourced from the local wreckers, and cleaned out the battery tray zero rust! but I started feeling around in the subframe located next the battery tray and found tons of gipe, acorns and tree litter etc, and removed about a 6" by 6" cube of crap from inside there. I also reinstalled a refurbished AFM I adjusted the swipers by doing the bend on them to new substrate and also cleaned the other noteworthy contacts. Much better and smoother acceleration. Less shudder on the initial throttle. YAY! Now if only I could get the damn idle above 500 RPM Sonja would be a happy car. Lubed up the ever-so-slightly bonkers brake bar mechanism found on right hand drive pre-1985? cars - I used the spray on High temp Lithium grease so fingers crossed it will last a little while. I wonder if this is different from the stuff I'm using on my throttle linkage rose joints (the sticky ones!) What are you using here Kevin? I stopped using grease on those as it seemed to get cooked and harden so I use some engine oil dispensed from an oil can instead. I use 3-in-one oil for the throttle cables on each car; disconnect from the throttle linkage, hold upright and let gravity do its thing. Wow filler panel is nice where did you source that unit? I have my L6 booked for alignment assessment tomorrow at my buddies specialist alignment shop. Scored a NOS E24 positive battery cable on ebay a few months ago and finally installed it about a month ago. To my surprise it seemed to have fixed an intermittent oil level light issue I've been having for a couple of years. I had cleaned the oil level sensor and inspected the warning light panel for cold solder joins but to no avail. I suppose the old battery cable was causing enough voltage drop to be an issue. Yesterday I replaced the battery ground cable for good measure. Washed my TRX rims and inspected tire wear rim damage etc, not bad, I will have media blast the rims though as the paint is worn off quite badly. All fixed up, in even better shape than it was before! Got the car back Wednesday night, and had to wait until the weekend to give it a good wash and super thorough wax. The paint match is amazing between the 30 year old paint and fresh stuff; the old paint is slightly less clear and deep in color, but a solid layer of carnauba wax did well to hide most of the difference. We were also told that the alignment couldn't be brought in to spec because some of the "rear bushings" were shot. Turns out there is no longer any traces of rubber on my Pitman arm bushings, so a new set of those is in order.. Not even a week back and something needs fixing Such is life, I suppose. Car looks great, I'm sure it fells great driving it again. My car is in for a respray, I hope to get it back by mid October. You decision on gold pin strips looks great. Question, what bulbs are you running in the projection head lights? How well lit is night driving? Thank you! I wasn't quite sure how the gold would turn out, but I was sold the instant I saw them for the first time. And what a wait! I thought a month was long Hope it gets done exactly how you wanted it. It's so great to be driving the car after so long. Driving a truck leaves much to be desired; I missed sitting just 8 inches above the ground But it's just such a joy to drive. It always puts a smile on my face, no matter how I'm driving it. And that's what makes it special to me at least.